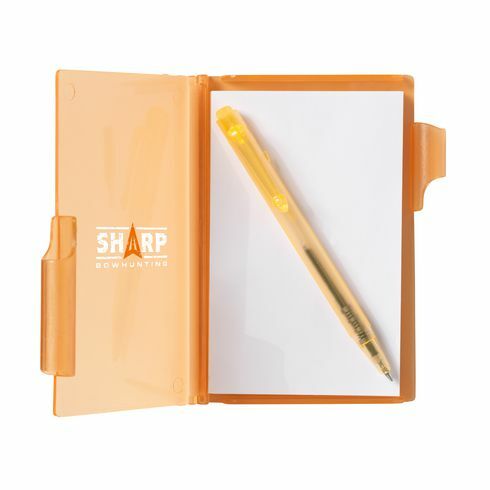 Smart plastic case with ~ notepad of approx. 60 white peel-off sheets ~ blue ink ballpoint pen, which neatly slots along the side of the case to seal it closed. Also ideal for storing business cards.